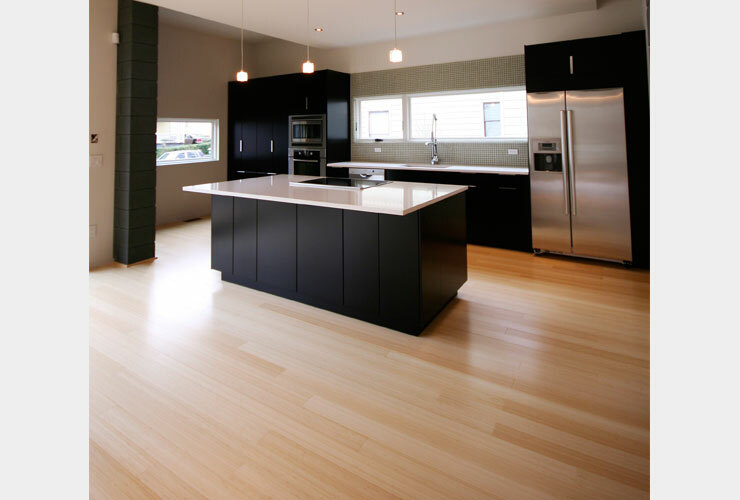 One of the most popular alternatives to hardwood flooring, Plyboo edge grain bamboo flooring with its modern linear look has become the most recognized and requested bamboo flooring for interior finishes. Its straight, clean lines create an energized and fresh feel for a wide range of environments. Plyboo edge grain bamboo flooring is offered in Amber and Natural colors in addition to two stain options Luminous Grey and Foundation Brown and is protected by a durable Polyurethane finish. This product blends well with residential, commercial and hospitality environments. 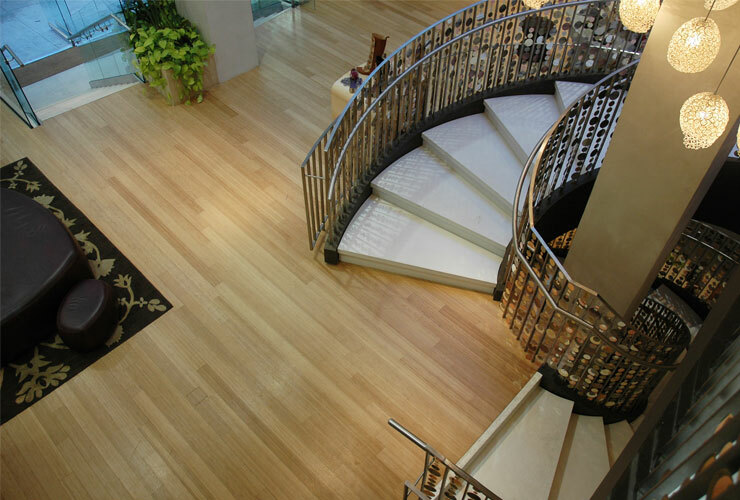 Plyboo edge grain bamboo floors are manufactured using low emitting adhesives and are available FSC® Certified 100%. Smith+Fong with Plyboo branded bamboo flooring is committed to supplying the market with a healthy, sustainable and high quality flooring product backed by independent, third-party certifiers FloorScore and confirmed by the stringent Cal. Sec. 01350 testing system. If you have further questions about our products, health and sustainability or our certifications, please contact us. 5⁄8" x 3 3/4" x 75 9/16""